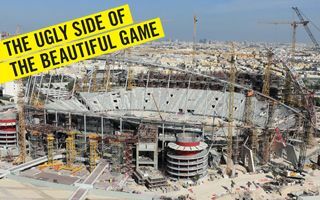 31.03.2016 Qatar 2022: Worker abuses ongoing on construction sites? 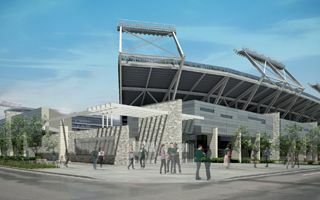 Colorado State University received a $20 million donation for their new football stadium. One thing the anonymous donor asked for is keeping the field named after coach Sonny Lubick. 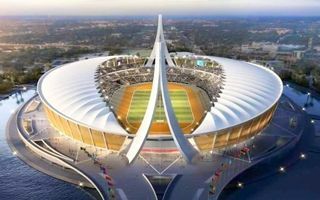 As part of a $6.5 billion mixed-use project in eastern Accra, Ghana will receive a top class national stadium. 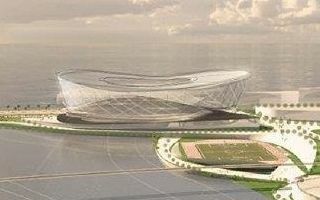 Located just beside the Bay of Guinea, the building will hold 60,000 people. 30.03.2016 Madrid: Smaller Bernabéu easier to swallow? 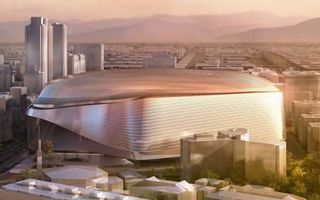 Real Madrid’s stadium expansion plans have been stalled for almost two years. President Florentino Perez is thus working to amend them and make it through the bureaucratic process. AS report. Unexpected news came from ESPN’s Andy Mitten, journalist and Manchester United supporter. 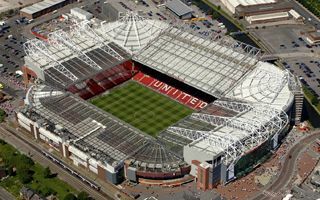 He claims United have plans to expand Old Trafford to 80,000 first, later possibly 88,000. 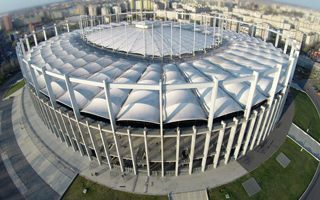 Capacity of the planned stadium in Belgrade will still be 50,000. But its location has changed to Zemun, the north-western district of Serbia’s capital city. 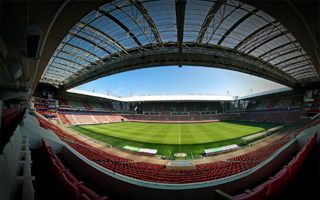 26.03.2016 Netherlands: Amsterdam ArenA to take Cruyff’s name? It’s only an idea, but a much debated one. 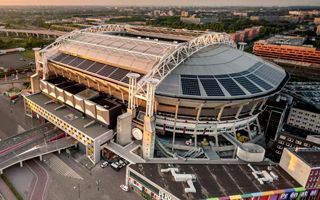 Mayor and his deputy both argue it should be considered, though Amsterdam Arena managers are reluctant. Similar debate is ongoing in Barcelona. 26.03.2016 Nigeria: Tragedy avoided, stadium occupancy over 160%! 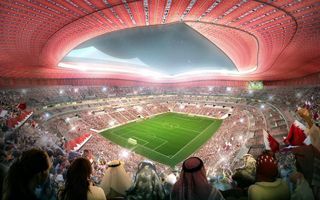 First, they selected a stadium that raised security concerns. Then they opened the gates and let thousands rushing in. 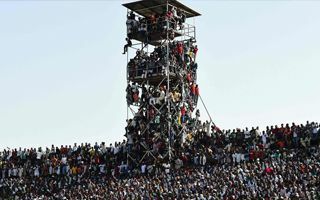 We’re not talking about Hillsborough, but yesterday’s game between Nigeria and Egypt! 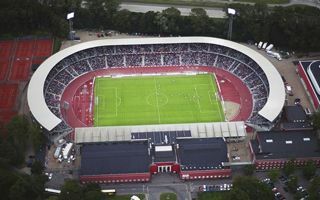 26.03.2016 Denmark: Aarhus stadium up for demolition? 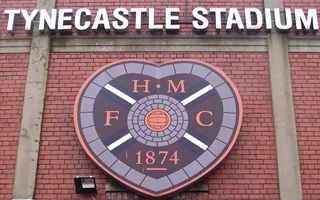 The football team don’t want to continue with their current stadium. 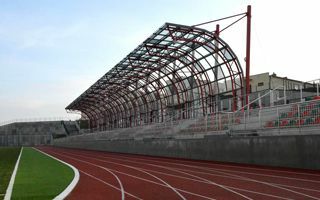 Its running track spoils the atmosphere, while capacity is just too big. Several hundred people around the field and a suicide bomber among them. When awards were to be given to the players, he detonated the bomb, killing no less than 41 people. Next week it’s the 180th Derby della Capitale, one of Europe’s most famous classics. 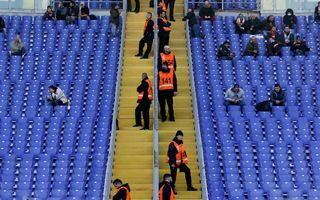 But this time fans of both Lazio and Roma sing in unison: we’re not going. 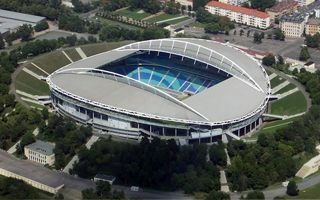 24.03.2016 Prague: Eden to become new national stadium? 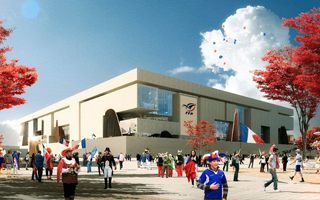 Instead of building from scratch, the Synot Tip Arena might be increased by almost 15,000 seats and become Czech Republic’s new national stadium. Could this plan work? 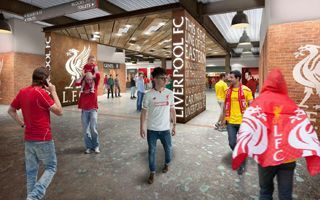 Controversial cracks appearing in the main stand are caused by errors in construction. The stadium also doesn’t meet fire safety rules, according to an independent report. 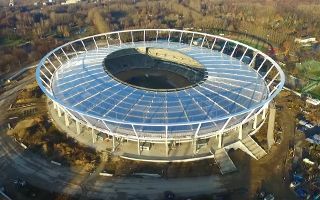 Just five years after opening, Stadion Wojska Polskiego already has an upgrade plan. No capacity increase, but facilities would see a major boost. 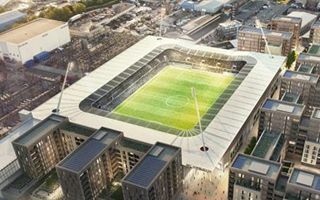 AFC Wimbledon’s stadium campaign has just suffered from another major setback. Groundbreaking might not happen this year after mayor ordered the plan to be re-evaluated. 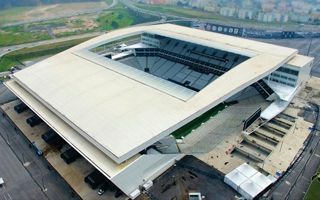 Shocking news came from Brazil, where newly-built stadiums might be part of a greater corruption scandal. 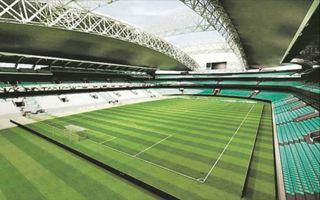 Arena Corinthians already is and new information about its construction have surfaced. This wasn’t an official competition, so Palace fans shouldn’t get too excited. But if their club was to return home, we guess one of these three best-ranked designs would easily suffice! 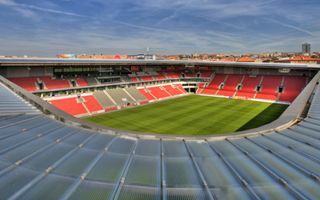 Regional authorities in Chorzów are considering further expanding Stadion Śląski to make it Poland’s largest and maybe even hold a Champions League final. But for now it’s painful to look at after prison fence surrounded it. 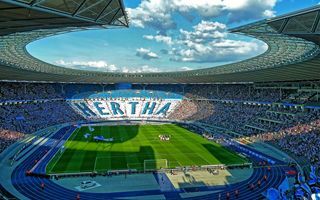 21.03.2016 Berlin: Hertha to finally flee Olympiastadion? 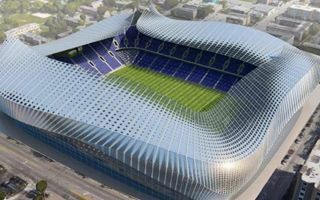 It’s been returning like boomerang and here it is again: the issue of future stadium for Hertha. While majestic and iconic, Olympiastadion is too large and not atmospheric enough. A new idea is in sight. 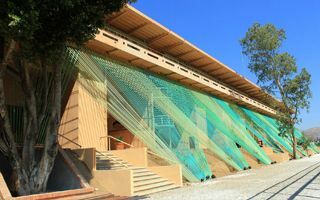 For a few days now the giant sign RAPID dominates the southern façade, while green paneling begins to cover the concrete and steel structure. Allianz Stadion is almost ready before opening in June. Two of them already arrived, two more are being prepared. 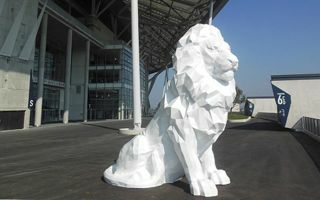 Four large lion sculptures will decorate the outer concourse of Olympique Lyonnais new stadium. 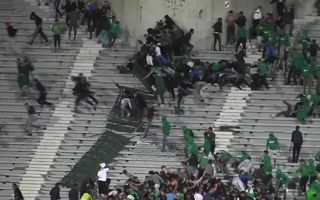 Stade Mohamed V has seen some of the most beautiful spectator experiences in the world, but yesterday it witnessed a tragedy. 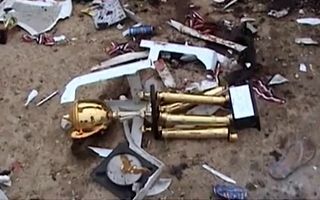 Two people were killed and 54 injured after Raja – Chabab Rif game. 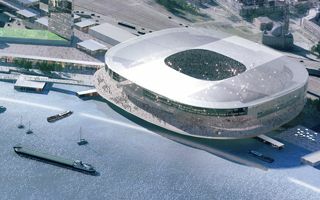 After consultation, both Feyenoord and the municipality of Rotterdam selected the northern riverside site as the preferred location for new 60,000+ stadium. 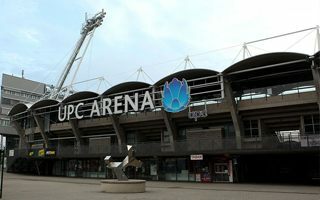 What will happen to De Kuip? A whole lot! 19.03.2016 Indonesia: Roof installation in just 2 months? 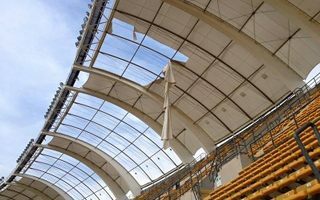 The largest ongoing stadium project in Indonesia faces a new challenge as there is only two months to complete the most complicated part: assemble and raise the roof. Yesterday the last piece of PTFE membrane was mounted. Today first pieces of the field were laid. 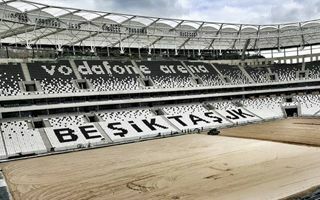 And in three weeks the first game is to be played in one of Turkey’s fiercest rivalries. 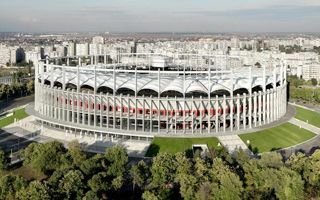 18.03.2016 Romania: Bucharest to have two 50,000+ stadiums! We knew there were impressive plans, but didn’t expect them to be that big. 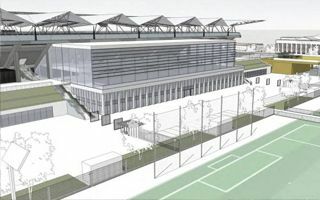 Another stadium for 50,000 people will be built in Bucharest, this time at Steaua’s current ground. If you’ve heard of them, we’re impressed. Because even in Poland these three aren’t too well-known. Not that they don’t deserve praise, serving amateur football better than some professional grounds! Had everything gone their way, we would be just weeks from opening of the Belmont stadium. But instead, groundbreaking is yet to happen. NY Cosmos assure they remain patient, though. 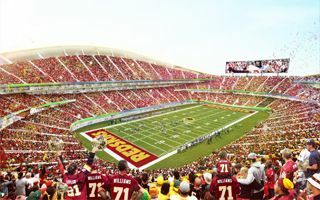 Chinese contractors are taking over on the future national sports complex site. 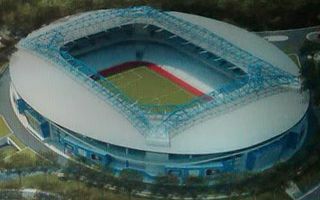 Within three years they will deliver Cambodia’s largest ever stadium. 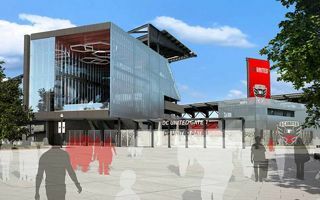 The DC Zoning Commission pushed DC United stadium plan forward, but not without concerns. Primarily over aesthetics as the design requires “a little more maturity”. Bizjournals.com report. 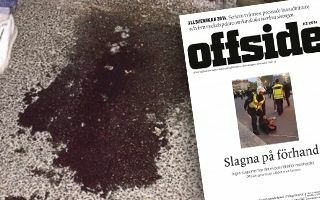 17.03.2016 Sweden: Police brutality is no foul play? Football safety is usually associated with hooliganism. But what happens when the supporter does nothing criminal and yet gets beaten up? In Sweden – nothing. As if it was part of the matchday experience. 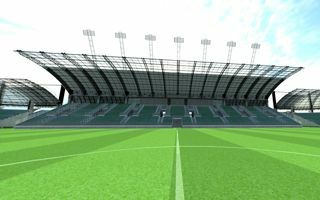 17.03.2016 New design: Would you believe it’s just a high school stadium? We’d say it’s possible only in USA, but quite frankly even there projects like this are the specialty of Texans. 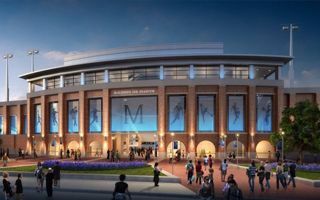 Meet the $50 million stadium for three local high schools! 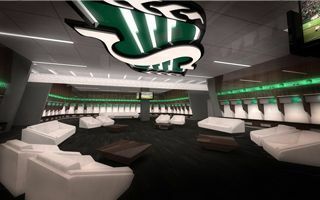 General contractor invited members of the press to see progress on the Mosaic Stadium site. 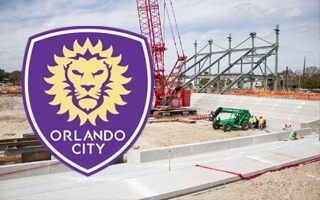 The stadium is already 77% complete and only one stand requires significant work. It was scheduled for March, but is now delayed slightly. 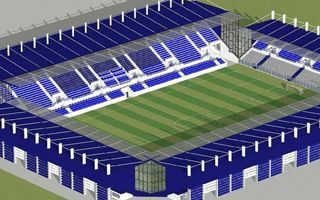 The tender for new 19,350-capacity stadium in Darmstadt should still allow completion in time for the 2018/19 Bundesliga season. 15.03.2016 Stadia Designers Cup: Choose the best proposal for Crystal Palace! 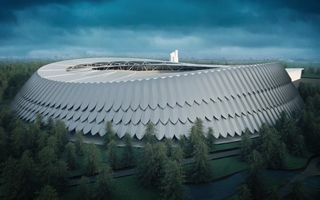 10 designers from 8 countries submitted their proposals for Crystal Palace FC’s new stadium. Now you can vote for the best one via mStadia.net. 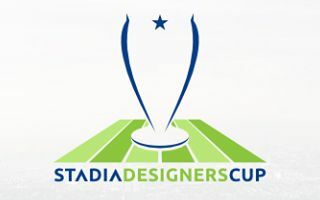 It’s first edition of Stadia Designers Cup, competition for stadium enthusiasts, hosted by Skyscrapercity.com users. 14.03.2016 USA: Gamechanging stadium with moat and beach? 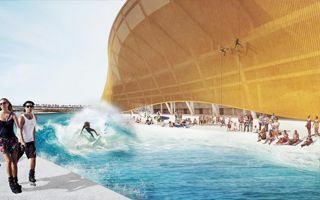 You’ve already seen stadiums with cabanas, but has anyone ever thought of surfing around a stadium? This design could allow such dreams to come true. Meet the future of Washington Redskins. 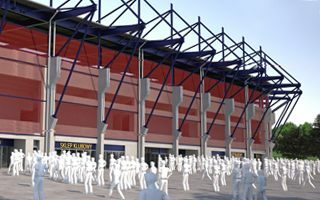 New main stand will offer two public concourses for all fans. Some claim these look rather cheap, but Liverpool made sure there’s a lot to look forward to! 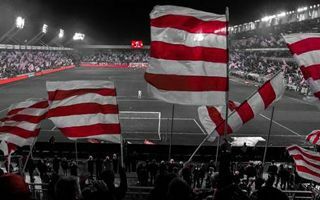 As Poland’s oldest operating club, Cracovia pride themselves in the 110-year-long history. Which was clearly seen on Saturday, when 1,906 flags were raised in 19:06 minute of the crucial game against Legia. 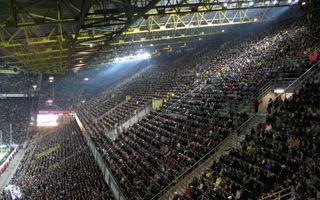 During today’s Bundesliga tie between Borussia and FSV Mainz the famous Dortmund stadium became quiet after news of one supporter’s death of heart attack. 12.03.2016 South Africa: Skyscraper to dwarf Moses Mabhida Stadium? 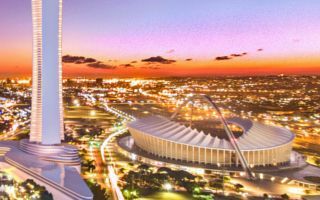 It may be among the tallest stadiums ever built, but the iconic building in Durban may soon be overshadowed by the tallest skyscraper in the southern hemisphere! 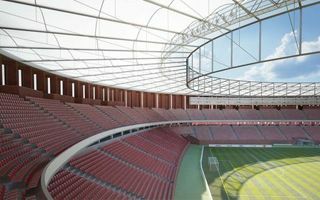 Official website of the Brno municipality confirmed the plan to buy complete documentation for what will be the country’s largest stadium. 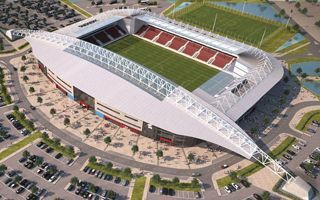 11.03.2016 England: York Stadium delayed further, opening in 2018? 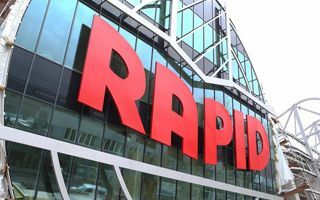 It was due to open this year, then in 2017, but may not be ready until mid-2018. Also, its final price will be significantly higher than expected. A BBC report. 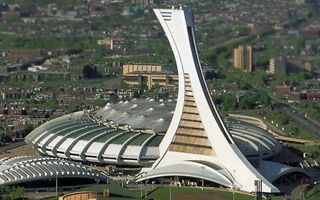 After 30 years of standing empty and underused, the Olympic Stadium’s massive tower will become a major office building. Up to 1,000 people will work here on a daily basis, starting in 2018. 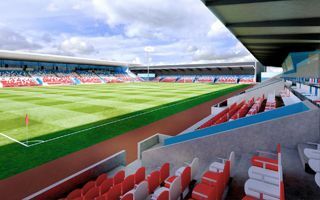 After a series of delays the new 12,000-capacity stadium for Scunthorpe United should finally go ahead this spring. Today the North Lincolnshire Council greenlighted it today! 09.03.2016 Russia: Can skybox become a hotel room? 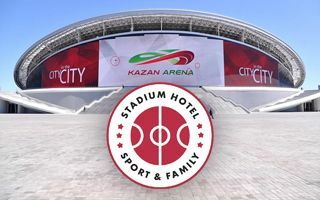 The capital of Tatarstan is on its way to prove skyboxes and hotel rooms can be the same room. Now instead of 25 matchdays, they can function all year round. 09.03.2016 New design: Europe’s largest temple reinvented! 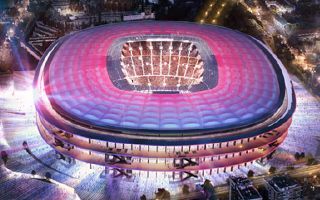 Freshly selected winning design of Camp Nou will see the stadium grow to 105,000 by 2021. Chosen concept is already controversial for its simplicity. 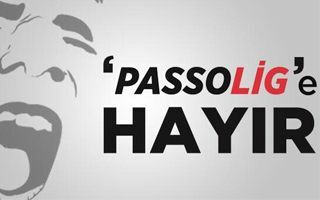 Take a look to get an opinion! 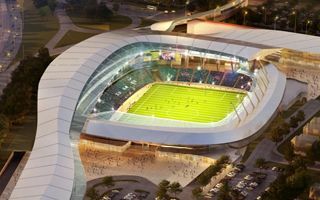 Though these facilities might not stand the comparison with top US stadia, Canadian Mosaic Stadium will host some of the most impressive football facilities among modern stadiums. 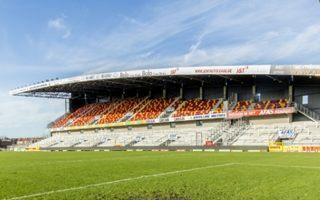 Second phase of the AFAS Stadion redevelopment is beginning in Mechelen as construction moves to the west end. 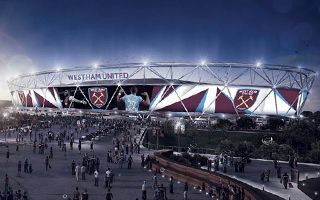 By the 2016/17 season the new end will be complete. 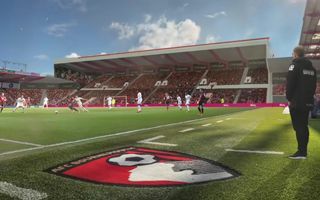 When a team fills 60,000 seats for season opening, you have to ask: won’t a 25,500-capacity stadium be too small for them? 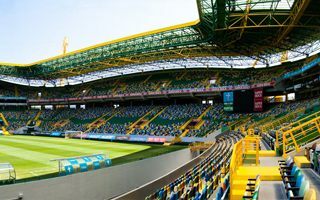 Yesterday’s grand derby of Lisbon brought a new record in attendance, already the 2nd this year. Unfortunately for the hosts, Sporting, it also ended with Benfica winning and becoming new league leaders. Though it was designed by one of the best architects, it’s no longer a reason for pride. 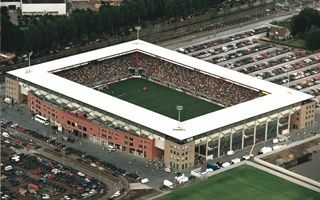 Stadio San Nicola is increasingly concerning as its state is gradually deteriorating. 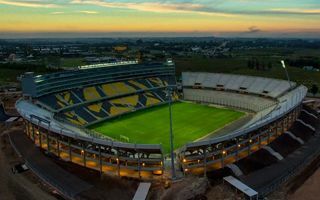 In 2015 for the first time since opening the Lviv venue of Euro 2012 managed to generate a profit. The stadium repaid a piece of its debt and should also do well this year. What seemed to be a PR stunt at first, now is gaining momentum. 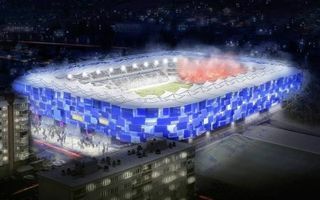 Opposition against the municipal reconstruction plan for Stettin stadium has a new face: stadium identical to the one in Lodz. You voted, you selected the winners, now we’re sending them their well deserved awards! 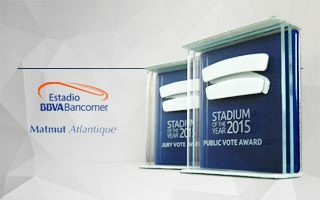 Estadio BBVA Bancomer and Matmut Atlantique join our Stadium of the Year hall of fame! 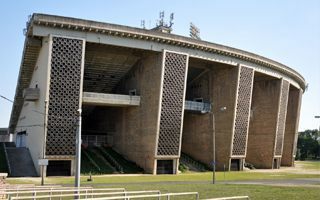 If you want to catch the last visit to Budapest’s famous Puskas Ferenc Stadion, it’s the last moment! In 8 months the stadium won’t exist anymore. First they’d like to expand Red Bull Arena by additional 13,000 seats. But if that’s not possible, there are already two sites indicated for a new 57,000+ stadium within Leipzig. 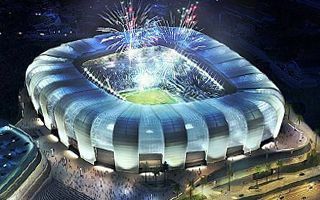 03.03.2016 Paris: Another blow for national rugby stadium? 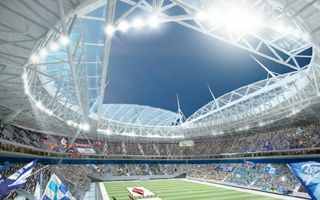 The French Tribunal of Auditors gave a negative opinion regarding the idea of second national stadium within Paris. It would damage Stade de France’s position, though initiators aren’t moved by that argument. Officially it’s the reward for the support in this year’s Champions League campaign. But really PSV Eindhoven only now listened to appeals by their fanbase to install safe standing. 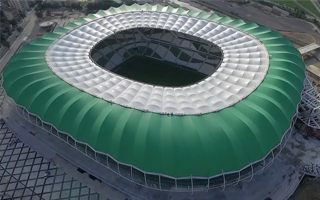 Green membrane is gradually covering the facade of Timsah Arena in Bursa. 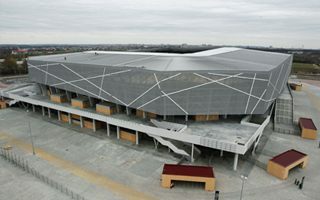 See how the “crocodile arena” grows its skin and large head. 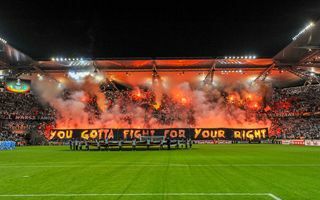 It’s already been 4 months since Stadionul National was closed after failure to meet fire requirements. 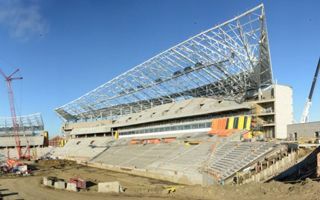 There is no sign of opening on the horizon and Romania may be forced to play abroad!